Set up a Customer Contract, Tenant and Account. Before a Multi-Tenant Contract can be Setup first Set up a Multi-Tenant Environment., see the attached link. 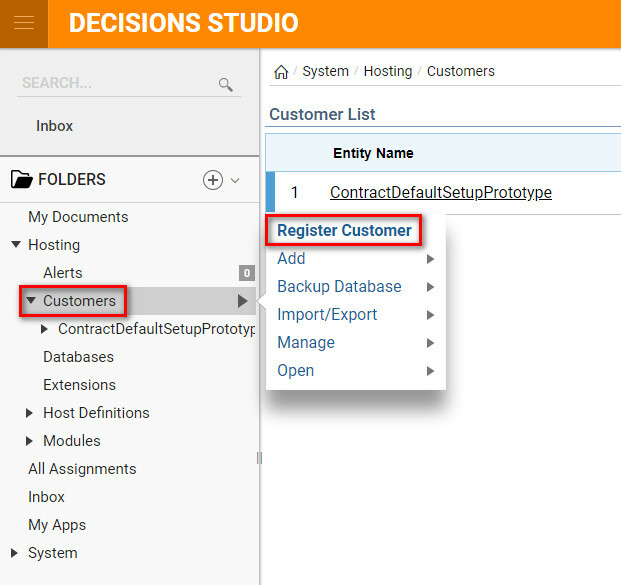 In the designer, Folders locate Hosting> Customers	and right click to open up menu options. Select Register Customer	from the action menu to begin the set up of a new contract. 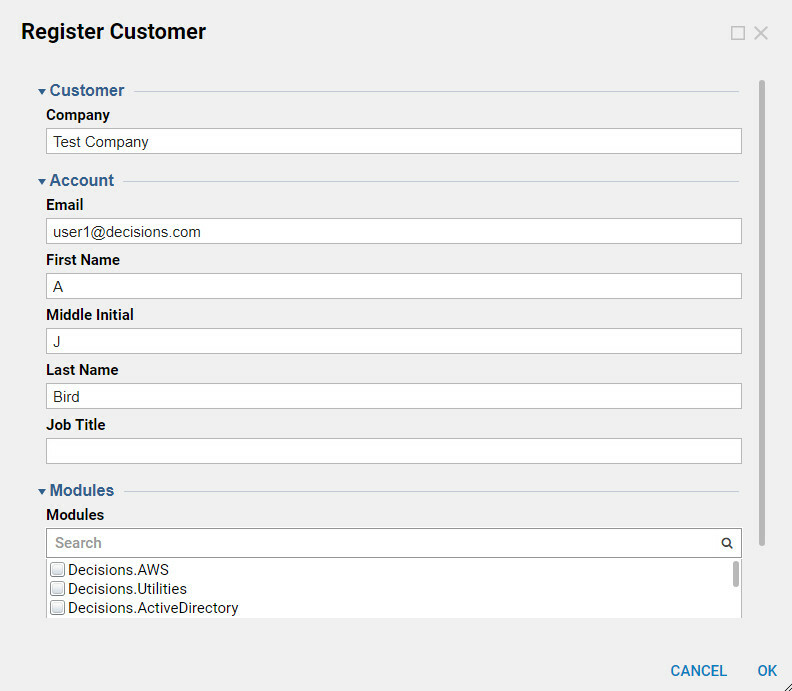 Next, navigate toHosting>Customers	right click and selectRegister Customer	to register a new customer. 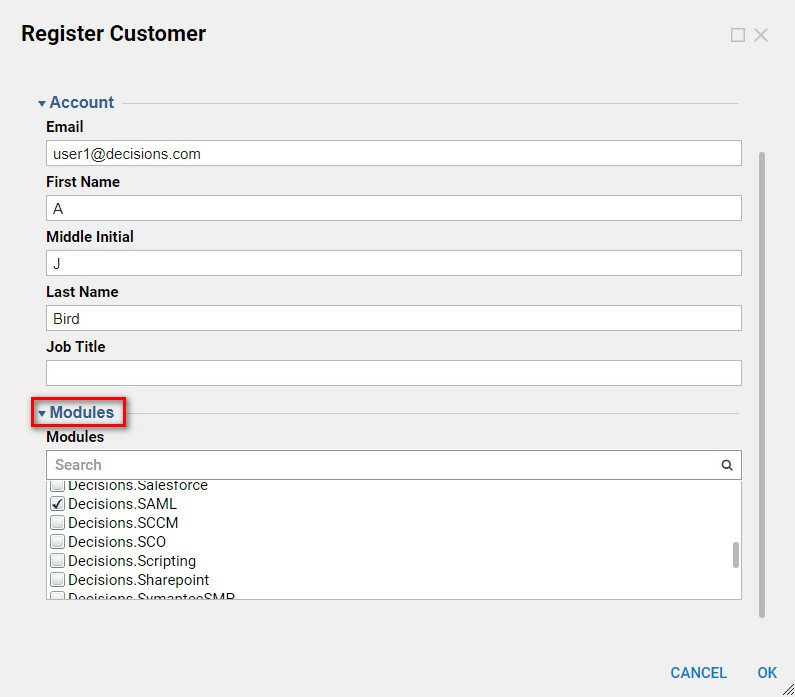 When a customer is registered, different Modules	can be selected by navigating to the Modules	section. Use the scroll bar to search for the desiredModule	and check the box as needed. Note:	the Module must be installed in Decisions before it can be integrated with. For more information on installingModules	in decisions see attached link. The next step is to Create a Hosting Definition.